Luxury, the broad category that encompasses most of our company’s marketing campaigns, means many things to many people. To some, it’s owning something rare or unique that inspires passion – a Patek Phillippe watch, a vintage Ferrari, an Old Master painting. To others, it’s all about “bespoke”, whether it’s a tailored suit, a designer dress, or a custom superyacht designed and built to fulfil one’s individual dreams and desires. Others still find luxury in quality – the crisp feel of Pratesi linens, the smell of 24 Faubourg by Hermés perfume, the look of Poltrona Frau furniture. To me, luxury means access. Growing up, my father was a Senior Editor at Sports Illustrated magazine, and he took me and mother to elite sporting events like the America’s Cup yacht races, the Olympic Games, and Formula One car races. Sportscar driver Jackie Stewart once fed me caviar at the old Österreich Ring racetrack in Austria, and I watched many a Cup race from the deck of Sports Illustrated’s chartered photo boat off Newport, R.I. I also think of time as luxury. The time our agency ‘gives back’ to clients by handling the writing, editing and social media projects they give us. The time I have been able to find, finally, to sit down and write this blog…. Many of our clients, and the end users they serve, see luxury as privacy. A company jet, for example, provides its owners with the ability to fly to meetings directly, without having to endure the indignities of commercial travel. En route, they can discuss proprietary matters without fear of the information winding up in the wrong hands. 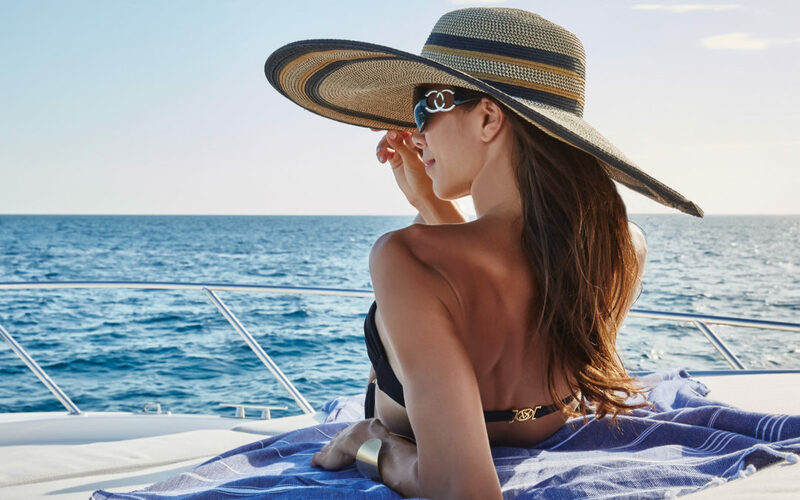 Private yachts let their owners cruise in the company of family and friends, not thousands of strangers. High-end resorts offer villas where guests can vacation out of the sight of prying eyes. We, our clients, and our clients’ clients also realize that the ultimate luxury is nature. Spend a few moments sitting beside a clear running stream or swimming in the turquoise waters lapping a Caribbean island and you will realize it, too. Luxury resorts exist to deliver the joys of sun, sand and sea (or mountains, valleys, lakes and rivers) to their guests. The yachting industry also depends on its customers desire to interact with the water and the abundant, vibrant life that inhabits it. We all need to do our utmost not only to enjoy the luxury of nature, but also to protect it.